Bank card today is a convenient means of payment and store of cash. To add funds to the card quickly and easily through an ATM. As you know, this electro-mechanical device through communication with the Bank and perform all financial transactions with the card account online. Insert the card into the card reader of the ATM. Please note the location while the magnetic stripe card. Further, the ATM may prompt you to choose the language of communication. Choose the most convenient option for you. The next important step is to enter the PIN-code of your card. Be careful. Next you need to choose what type of account is cash contributions. If you have multiple accounts, select the desired. Select "Credit your account". Do not forget to take receipt of perfect operation, and a map. Observe the precautions recommended to all cardholders. This is something that concerns the PIN-code, storage and use of the cards, save receipts... And most importantly - be vigilant. Bank cards are a very convenient means of payment, they reduce the likelihood of theft of cash, eliminate the need to use cash and always have. Cardholders can get discounts in shops, restaurants, travel agencies and other organizations. If the card balance is small, you can make the money on the card one of the possible ways. You can make money through the terminal in the unit of Sberbank. If the money is made in rubles, and the amount does not exceed six hundred thousand, the present document is optional. You can make money directly on the card, and you can enter the card number and PIN, while very map not to use it. Following the instructions on the screen of an electronic terminal, you can easily refill the balance of your card. Funds on the card of Sberbank it is possible to make through an ATM, providing cash. For this purpose, the ATM, you enter the map, then fill in the necessary information and then make cash. In one of the divisions of the savings Bank you can transfer the desired amount from one card to another through an electronic terminal. To do this, enter the PIN that you want to transfer money, and payment amount. The identity document, is not required. To transfer money from one card to another through the ATM, the procedure is the same as when working with the terminal. Service "Mobile Bank" and "Sberbankiada also provide an opportunity to replenish the card balance. For this you need to go online via computer or mobile phone and follow the instructions on the website. Funds on the card can also be translated from the accounts and deposits of Sberbank and other banks and credit organizations. The operation is performed in the unit of the savings Bank with the obligatory presentation of the document proving the identity. For this you need to see a specialist, working with Bank cards, which will execute the necessary documents. To replenish the card balance through a virtual payment system such as WebMoney, Qiwi and Yandex.Money. You must register in one of the payment systems, to wallet and Fund it, and then do the translation on the card. Funds are transferred to the map immediately. For the replenishment of the card account with the balance of Commission fees. Each Bank currently has self-service machines that allow you to quickly and without recourse to the operators to perform the basic banking operations: get cash on credit card, recharge Bank cards, to pay services of mobile operators, utilities, Internet service providers and satellite television, to repay the loan, transfer money from account to account, to obtain information on their accounts. Enough to pay close attention when reading the menu on the monitor of the ATM, selecting the desired points and the answers to the questions. 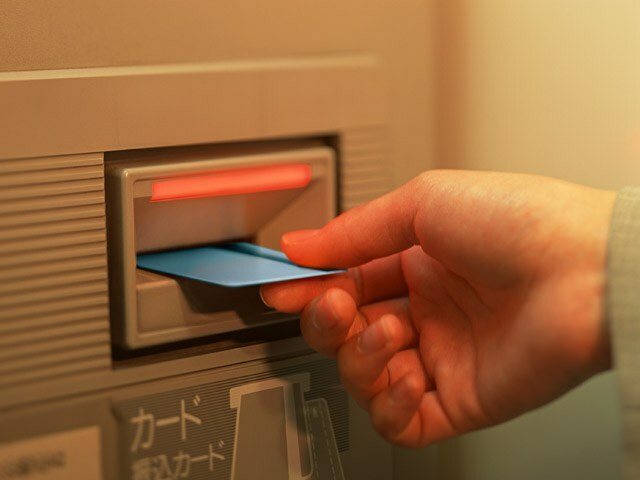 Load the card into the ATM correctly, focusing on the icon as a hint near the card-reader (slot) for the card. 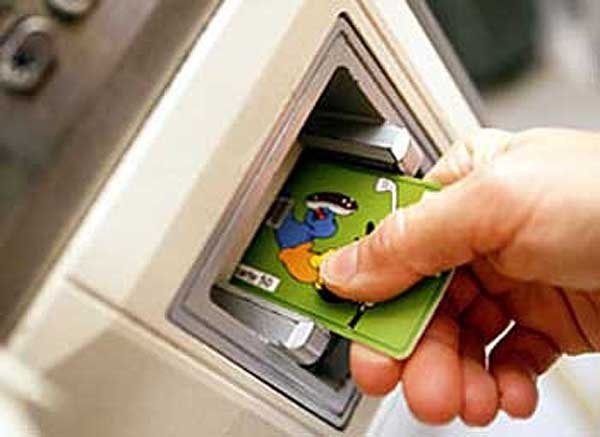 Do not worry if it is not inserted correctly, the ATM will always give the opportunity to remedy the situation cards. Soon you will remember that the magnetic stripe on the card when the download is typically located on the lower side and to the right. Carefully watch the monitor of the ATM. Software of ATMs of different banks varies. 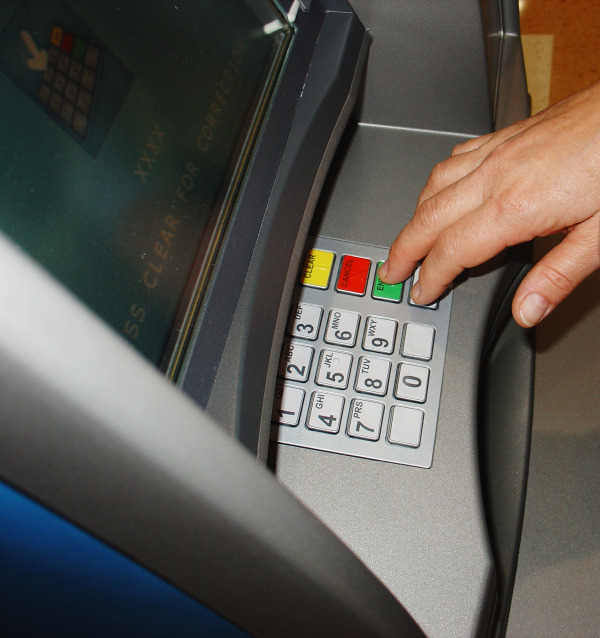 Some ATMs immediately request a secret pin code, for example, a Bank, Moscomprivatbank. Some offer first language, such as BSGV, and then require a pin. 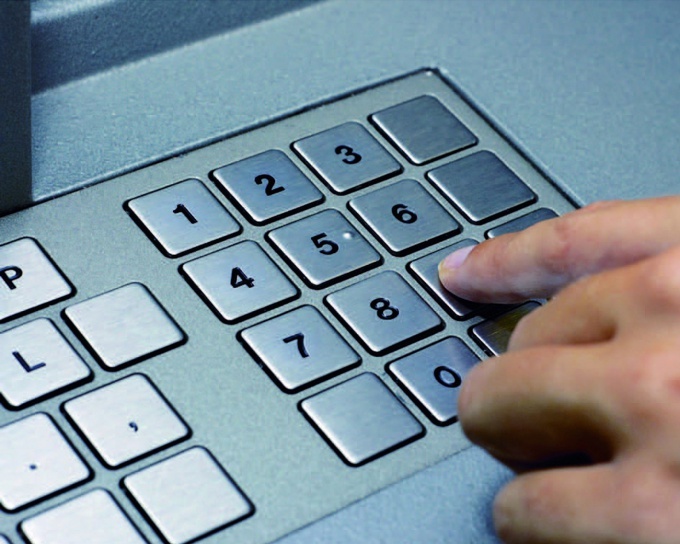 Enter pin number by covering the keypad with your palm to avoid compromise of the card. Read the menu of available operations with the card. Since you're going to fill up the card with cash, you need the item "cash Operations". Select it by touching a finger on a touch screen or using the buttons on the sides of the screen. Next select "card" or "cash". The wording may be different, select the item that indicates the completion of the balance of the card. Pay required amount into the slot for bills. 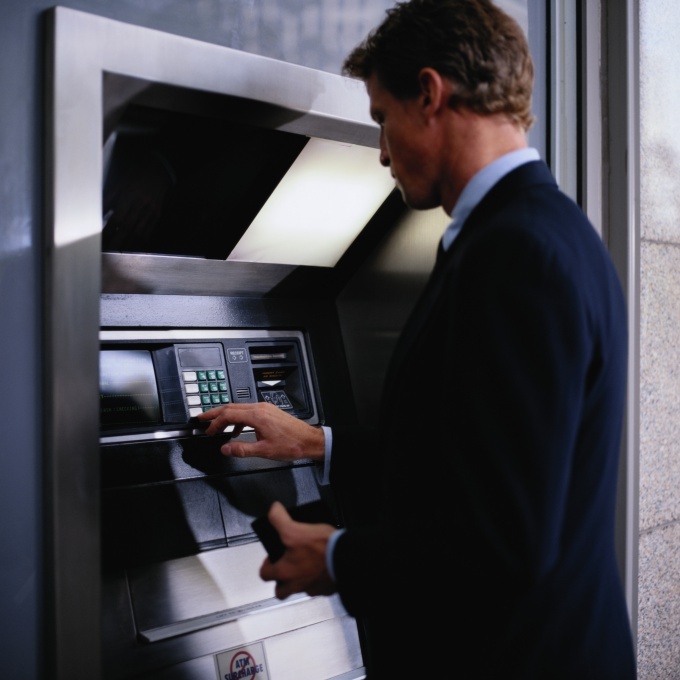 When the ATM is ready to receive the money, you will see a flashing light near the slot. Be careful when you make money! 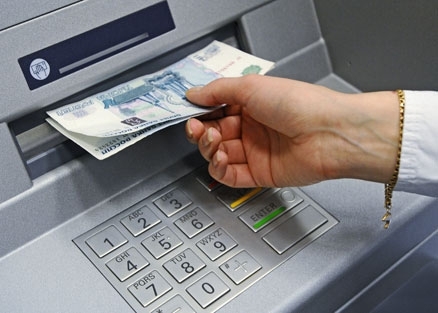 Modern ATMs accept banknotes singly or in batches. You can make neatly straightened and folded stack of money at once. Additionally confirm the amount taken by the ATM tools. It will show you, or the entire or a list with the number and denomination of bills. Next, confirm the amount credited, if it is correct. Or adjust the amount by selecting "to Report" or "Fix", you can report shortfalls or return the excess. Confirm all the transaction details if they are requested by the device. Wait until the operation is complete, take the card out of card reader and obtain a receipt. Keep the receipt until the funds are credited to the card account, usually this operation is carried out quickly on-line. In addition, the receipt includes the information about the date, time and place of the transaction, and amount and contact numbers of technical support service of the ATM. To remove money from a Bank card until recently it was much easier than putting them on own account. Due to the fact that the terminals installed in Bank branches and shopping malls, were not equipped with the correct device. Most ATMs today designed exclusively for cash withdrawals. But the situation is changing. And banks, following the demands of the time, try to offer the maximum convenience of calculations cardholders. Start by finding an ATM, equipped with a device for receiving money. A list of them you can find on the official website of your Bank. There is the addresses of all terminals, often labeled the desired cash-in. To find your nearest address, specify its location. You can do this by contacting online services that offer to find a place on the map on the entered search string in the address. So you learn what kind of trade or other point is the self-service terminal. Before heading to the nearest ATM, prepare notes that you will use to Deposit money into the account. They must be whole and fresh. Also, remember that the ATM only accepts paper money. Do not forget about a possible Commission for the transfer of funds. To activate the terminal, insert your card into a special opening reader. Next you will be prompted to enter a pin code card. Be careful when entering numbers. Try not to show dial the code that will protect your savings from fraudsters. 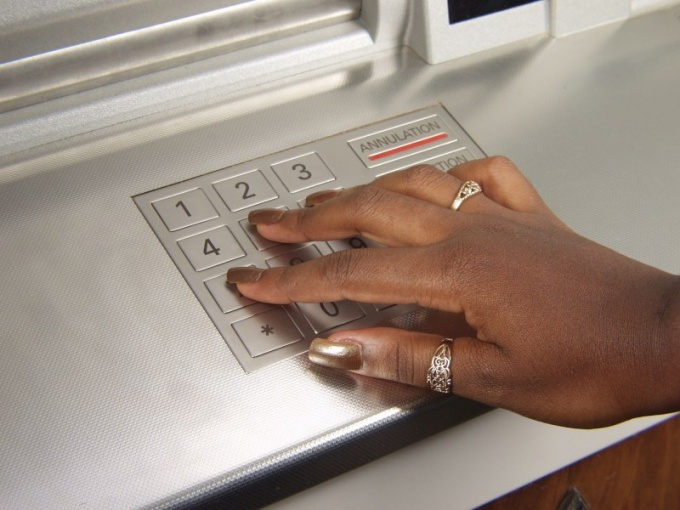 After accepting a pin and identification card system, you will be prompted to choose the type of banking transactions. For your purposes, select the team, offering to pay cash. Select from the options the number of accounts and define the currency you are prepared to pay (euros, dollars, rubles). Now you need to insert the prepared money into the bill acceptor. Further, the ATM will notify you of the amount of the deposited amount and will request confirmation of enrolment to the specified account. When the operation is complete the terminal will offer you a receipt confirming the transfer of funds. Take the check and your Bank card. Your payment will be made within a few minutes online. 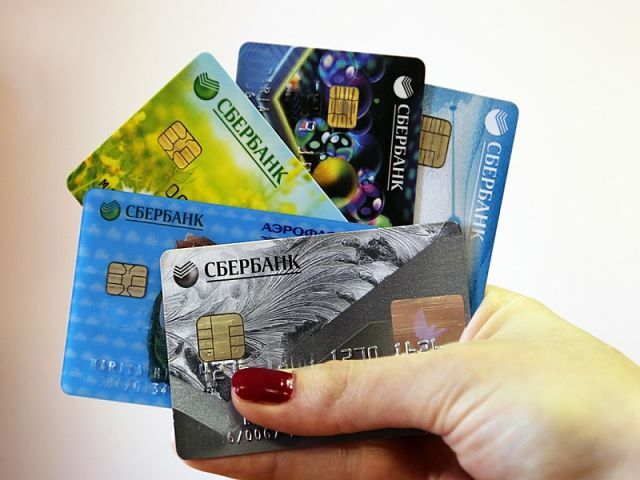 Many people are often faced with the fact that there is an urgent need to replenish the card of the savings Bank relative or friend, but how to do it, I don't know. Currently, there are many ways to top-up card to the other party, offer to meet with three of the most simple. To use an ATM and transfer funds from one card to another is the easiest way, and if the card is registered in one region, the Commission will not be charged. So, if you use an ATM, first you need to insert your card and enter your pin, then select "payments and transfers", then "transfer funds". Then in the box that appears, dial the recipient's card number and click "next", then enter the transfer amount, check all data and click "translate". All that remains to do is to get and keep the receipt. You can also use the terminal. To do this you need to insert the card into the terminal, enter the pin and select "banking", "credit card transaction". You will then be asked to choose one of two items, you need to click "transfer to third party Bank to the individual account" and then follow the instructions and enter all the requested details. Recently, this method of translation has become very popular and this is not surprising, because to transfer all you need is Internet availability. So, to transfer money, first sign up in Online savings and after the procedure, log in to your account by entering the username and password, then select "payment", then "translation to the client Sberbank" and enter the card number of the recipient and the transfer amount. Click "confirm the operation". 100 - amount of transfer. All you need to do is to check all the details (name and patronymic of the recipient, the first letter of his name and, of course, the amount of the transfer) and send the request. After a few minutes you will receive an SMS with a code that you will need to send to a short number 900. It should be noted that the maximum amount of transfer in this case may not exceed eight thousand rubles a day, and in 24 hours you can make no more than 10 translations.